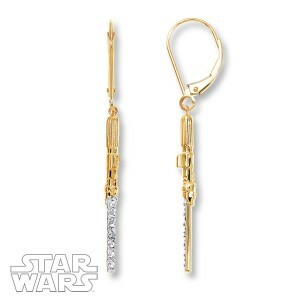 Kay Jewelers has added two more new items to their Star Wars jewelry range. The first new item is a sterling silver TIE Fighter bangle bracelet, which features Darth Vader’s TIE Advanced set in a bangle. 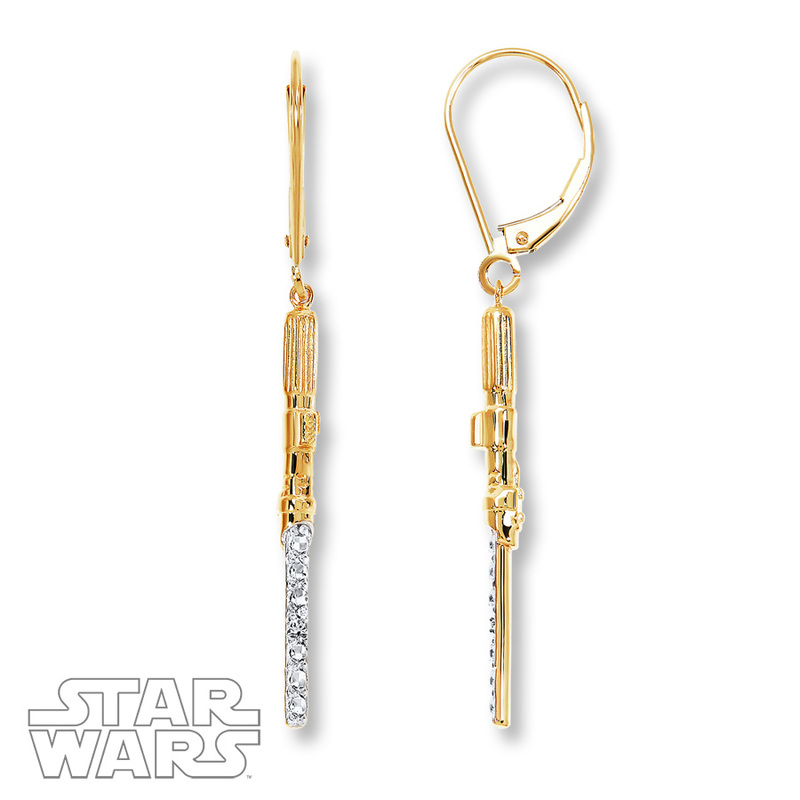 The second new item is a pair of 10K yellow gold lightsaber earrings (the hilt is either Darth Vader or Anakin Skywalker’s), with diamonds on the blade and Euro-wire hooks. 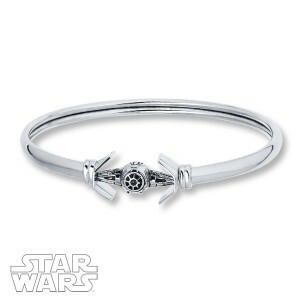 The bangle is priced at US$169.00 each, while the earrings are priced at US$349.00 per pair. It appears that Kay Jewelers do not ship outside the US, but international fans can use the ‘personal shopper’ service available from mail forwarding companies to purchase from the website. I love both of these new designs – it’s great to see that Kay Jewelers are still adding new items to their range. 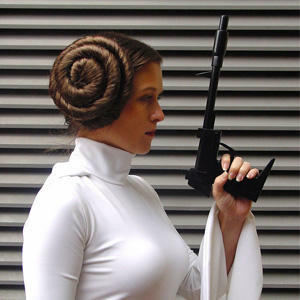 Photos sourced from and belong to Kay Jewelers. Next Post Loungefly Chewbacca bag!